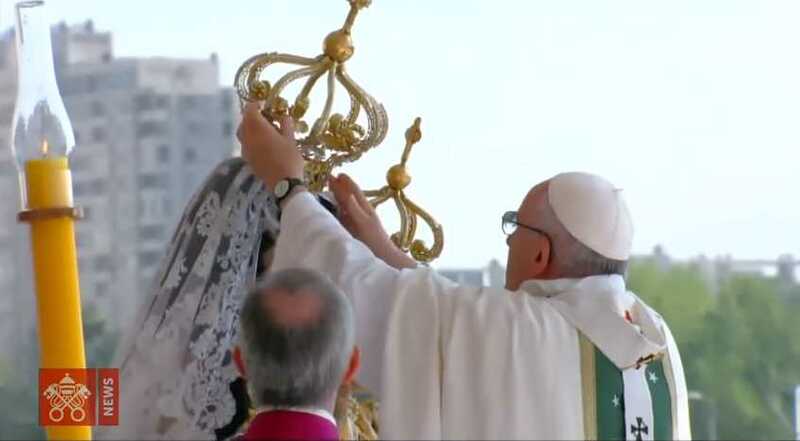 SANTIAGO, Chile — Jorge Bergoglio, the leader of Roman Catholicism who is also known as “Pope Francis,” placed a crown on the head of a statue of Mary during his visit to Chile on Tuesday. “Lord, look kindly upon these your servants, who by adorning with a visible crown the image of the mother of Your Son, recognize Your Son as King of the universe and invoke the virgin as queen,” Bergoglio said. He “blessed” the crowns and was escorted to place them on the heads of the images. Bergoglio then stood before the statue, swinging a smoking censer of incense. Even prior to his departure from Italy, Bergoglio visited the Basilica of Saint Mary Major, where he prayed before the image of Maria Salus Populi Romani to entrust his endeavor to Mary. Vatican News reports that he additionally placed a bouquet of flowers on the altar below the icon. Bergoglio had also observed the annual feast day called “The Solemnity of Mary, the Holy Mother of God” on Jan. 1, claiming that “[d]evotion to Mary is not spiritual etiquette; it is a requirement of the Christian life.” The Jan. 1 observance is part of what is known as the Octave of Christmas. While thousands attended the mass where Bergoglio crowned the Marian statue, Mike Gendron of Proclaiming the Gospel Ministries told Christian News Network that Catholics place an inordinate amount of emphasis on Mary, and wrongly ascribe attributes to her that only belong to God. 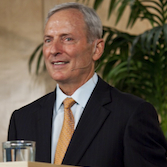 Gendron, a former Roman Catholic of 30 years, pointed to the various doctrines about Mary as written in the Catechism of the Catholic Church and other official writings. “According to Roman Catholicism, Mary is ‘the all-holy ever-virgin Mother of God’ (CCC, 721), the ‘Queen over all things’ (CCC, 966), our ‘Advocate, Helper, Benefactress, and Mediatrix’ (CCC, 969), who is ‘full of grace’ (CCC, 722), the ‘Mother of God and our mother’ (CCC, 2677), the ‘new Eve’ (CCC, 726), and the ‘seat of wisdom’ (CCC, 721),” he outlined. Further, Catholic doctrine teaches that Mary “had no original sin (CCC, 508), and never committed sin (CCC, 493). She is second only to her Son (Vatican II, Dogmatic Constitution on the Church, par. 66) and sits ‘on the right hand of the majesty on high’ (Pope Pius X, Ad Diem Illum Laetissimum, 14). In fact, ‘no man can go to Christ but by His Mother’ (Pope Leo 13th, Octobri Mense),” Gendron explained. He likewise noted that the Catechism of the Catholic Church teaches that Mary “delivers our souls from death” (CCC, 966) and “continues to bring us the gifts of eternal salvation” (CCC, 969) through her intercession.